Herb Friese built this 16' x 35" cedar strip canoe, Abenaki model, from plans and materials supplied by Newfound Woodworks, Bristol, NH. Herb said it took about eight months of part-time work in his garage. The canoe will be used in the waters around Catskill, NY, by owner Kathleen Farrell. 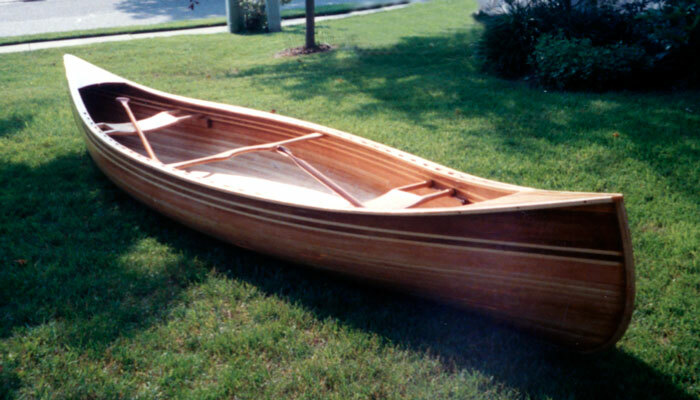 For information about building the canoe contact H. Friese, PO Box 221, Medford, NJ 08055.